The labels were inspired by the antique winemaking equipment Ryan and his dad have collected over the years. 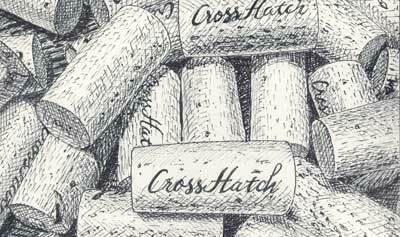 Local Santa Barbara artist, Thomas Van Stein, used the crosshatch technique to draw the images of the crusher, corkscrew, basket press and basket of grapes used on the labels. Each image captures the spirit of the wine in the bottle.